Under the direction of the Summer Camp Director and Retreats Director, the Camp Photographer is responsible for taking cabin photos and photos of campers in a variety of activities each week in order to provide cabin photos, marketing photos/videos and general use photos. In addition, the Camp Photographer develops a photo collection to be available for purchase by campers at the conclusion of the camp week on Saturday morning. Take photos and video of a variety of activities, people, facilities and scenery around camp each week. Develop a weekly photo collection available for distribution to campers. Produce and upload or copy the necessary photo collections each week. Maintain an inventoried library of good camp photos for use in marketing pieces. Take cabin photos and get them developed and returned to camp by Friday afternoon each week. 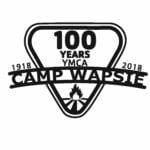 Work with the Camper Services Director to determine number of photo collections needed each week and to determine the number of cabin photos and distribute them each week. Maintain an organized collection of all photos taken. Assist with office, programming and planning duties as requested and assigned. Coordinate the distribution of camper t-shirts and care packages. Create and maintain a harmonious, positive working relationship with fellow staff, campers, and participants. Manage camper shirt inventory and distribute camper shirts weekly. Supervise campers assigned to their care, especially night duty in their cabin. Must possess strong photography and organizational skills. Must have knowledge of photography software for editing and duplicating photo CDs. Must enjoy working and interacting with people of all types and ages, with a special emphasis on children, modeling and utilizing the important core values of caring, honesty, respect and responsibility. Seasonal position: Early June – Late August.